For this week's Ranked!, we turned our attention to one of the biggest duos in this history of rock: Daryl Hall and John Oates. 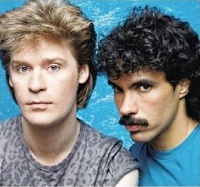 When the dust settled, we were left with our fifteen favorite tracks from Hall & Oates. Did your favorite Hall & Oates track make our list? Find out below! 15. "You've Lost That Lovin' Feeling"
12. "Every Time You Go Away"